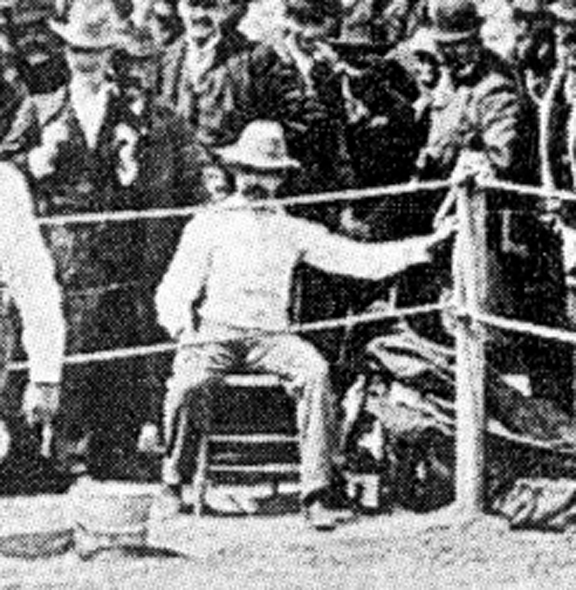 Bob Boze Bell's Big Bad Book of Bad Diary Entries: Wyatt Earp Captured at Ringside? 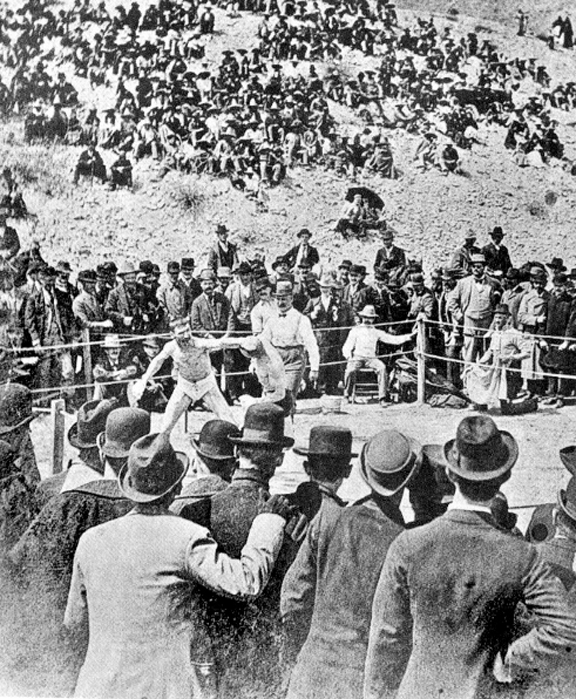 I would like to bring to your attention, that Wyatt Earp was indeed attending that 1896 Bob Fitzsimmons fight match! Please take a closer look at the upper right-hand photo on page 49 in the September 2018 issue of True West. That's my Wyatt sitting down outside of the corner of the ring. His right hand is resting on his right thigh of his leg while his left hand is resting on the ring post. I should know, because his body shape and mannerisms are forever imprinted in my heart and mind.